Praise and Divine Healing Service was held again on Thursday, April 12, 2018. God always wants to show His beautiful promises that can answer all problems. Many had come with a hope to see God’s touch and power for their life and healing for their sickness. The service started with a compilation film about how God has worked through His power in KPPI from 1993 until now. It has been 25 years conducting this service. There were countless miracles took place here and showed that Jesus never changes and He is a Living God. This service was also aired as a live streaming program on Facebook. There are many from all over Indonesia and outside Indonesia could join this service. Praising and worshiping became one of the characteristics of this service as everyone was led to praise the Lord wholeheartedly. A healing testimonial film was aired. It was about Kim An who suffered from the uric acid that caused him unable to lift up his right hand. He came to KPPI and was prayed there. He believed in Jesus and got healed. All his pain disappeared and he was able to lift up his right hand. All congregations were led to read verses Matthew 7:7-11 that said that we must keep on asking, seeking and knocking, so we will be given, will find and the door will be opened. Because our Father God is very kind and good. 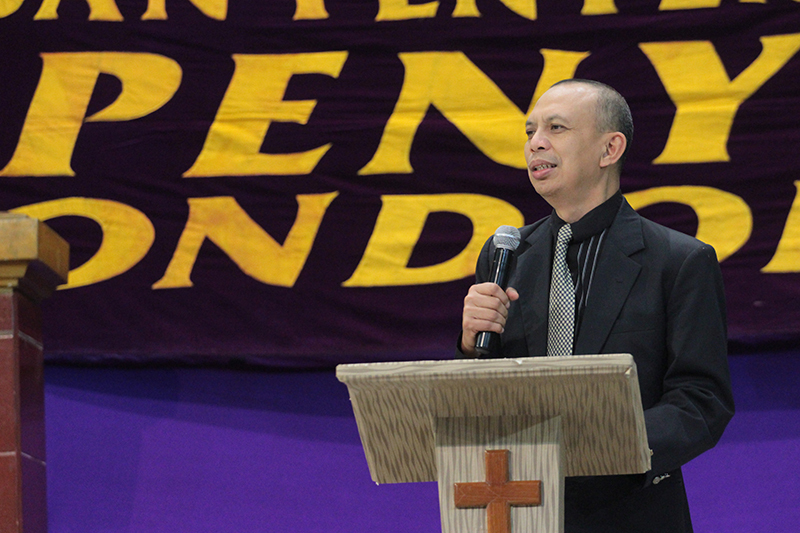 The Word of God was shared by Rev.Yohanes Nugroho. It was taken from John 1:3-5. It was shared that the Word of God is God Himself and the Word of God is Jesus Christ. He is the Creator of all things. Without Him, there is nothing created. He is the Creator of the heaven and earth, the stars and the moon, all the living creatures, plants, animals, all creatures in the sea. He is powerful and nothing is impossible with Him. The man was created by God to have an eternal life and live with Him eternally. It is God who upholds our life. It is His desire for us to live with Him forever in heaven. But men fell into sin. Sin has made everything that caused death, suffering, sicknesses and hurts to all men. The reward for sin was a death penalty. Men can no longer live with God eternally. Eternal death is being separated from God forever in hell. God never created death, sicknesses, and suffering. The love of Jesus Christ never changes to us. He came down to earth 2000 years ago, sacrificing Himself to bear all our sins, whereas He never did any sin. He bore all our suffering that should be ours. He was mocked, spit, crowned with thorn and died on the cross. He has paid it all. As the result, there is not any sin that cannot be defeated by everyone who believes in Lord Jesus. In Jesus there is life. Outside of Jesus, there is none can live. It is only because of His blood and His cross that there is life. Outside of the cross, there is only death and all kinds of suffering. The life given by Lord Jesus has defeated all death and darkness. Jesus Christ has been crucified so that in Him there is hope. If we face pressure, loneliness, sicknesses, there is only one key: we need the life that is in Jesus. Everyone who wanted to believe in Jesus and invite Him to come into their heart to become the personal Lord and Savior was asked to lift up his hand and was prayed. Rev. Gad Belinda continued the sermon from Isaiah 53:3-5. When He was whipped and crowned by the thorn, He did it for us. Jesus has borne all kinds of sicknesses, even any sickness diagnosed to be incurable by the doctor. There is no sickness that cannot be healed by Jesus. He is the doctor above all doctors. His Stripes can heal us. Then all counselors were asked to come forward, followed by a call to all the sick people to come forward. A healing prayer was lifted up together by Rev. Joseph Batubara and Rev. Judah Pakasi. After that, all the counselor prayed for every sick person. God really cares and wants to heal His people. Many healing miracles took place. 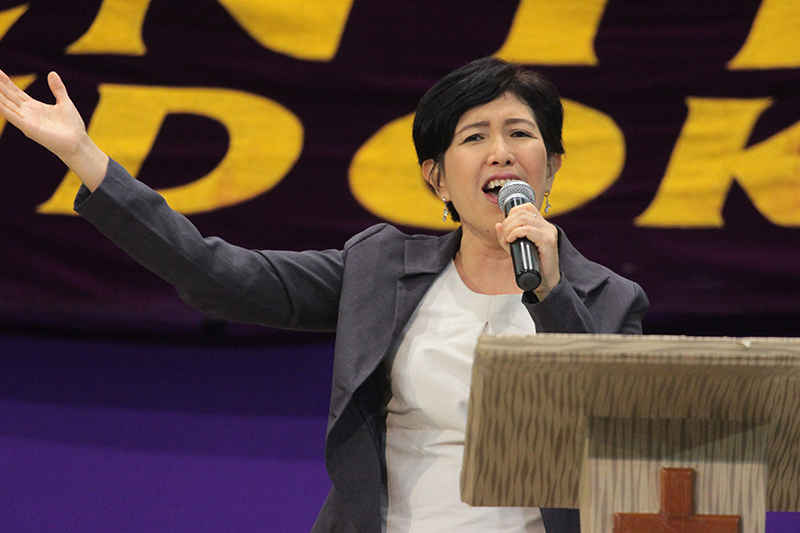 The healing testimony was shared to all congregations by Rev. Henri Panjaitan, Rev. Fairy Bulani, and Rev. Evan Sinaga. They were healed from diabetes for 10 years, painful leg and unable to squat, heart sickness for 2 years, unable to lift up his hand, painful left shoulder 4 months, heat sensation on the stomach for 5 months, tumor in the stomach, appendectomy effect, headache for 1 year, paraesthesia (tingling) in the left hand for 5 months, gastritis for 2 years, hypertension, waist problem for 3 years, unable to move the right hand, gout for 1,5 years, appendicitis, painful abdoment for 1 year, Colon Tuberculosis, leukemia for 3 years. Healing miracles also happened to many who were watching the live streaming program in Facebook. 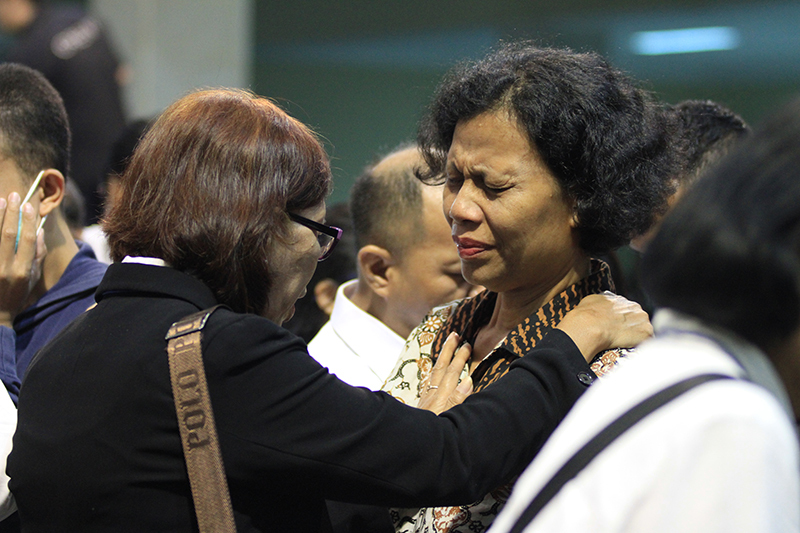 A man in Palembang was healed from lung spots. 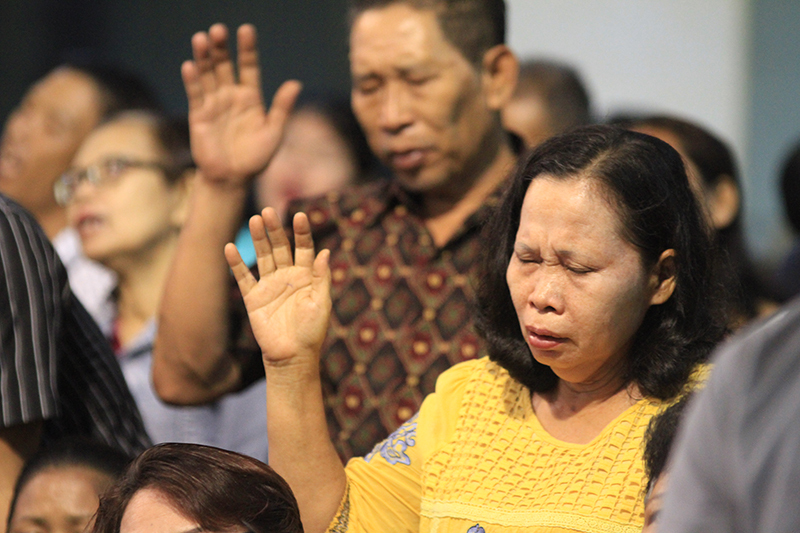 Another man from Palembang was healed from a stroke. A lady in Kupang was healed from back pain. A man who was watching from Medan healed from infection for both ears in 10 years. A lady from Central Bangka was healed from rheumatics for 3 years. 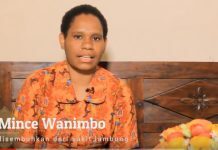 A lady in Southeast Maluku was healed from a tumor. A healing also happened to a lady in Malaysia from gastritis. Another lady who knew KPPI from Facebook had come from Cirebon was healed from HNP for 6 months. God has continued doing His miracles. There was also a call to them who wanted to serve the Lord. They were asked to move forward and were prayed. This service was closed with a message that everyone should return back to their local church and serve the Lord there. KPPI (Praise and Divine Healing Service) is an interdenominational ministry that was held by GPPI Pondok Daud Jakarta.